Once upon a time, about a decade ago, the wedding industry was rife with bossy photographers whose apparent goal was to force plastic smiles on couples doing their best Barbie and Ken impersonation (because #heteronormativity). Thankfully, a lot has changed in recent years, mostly due to a few trailblazers who believed that couples deserve a photographer who supports them instead of ordering them around, and that they deserve photos that capture how a wedding day feels as much how it looks. Which is not to say she doesn’t make you look good. 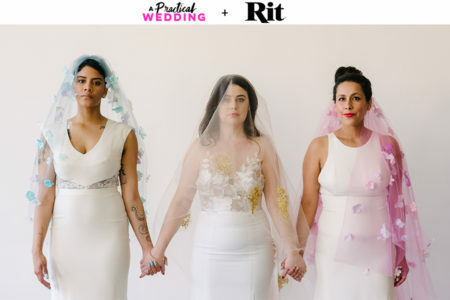 In fact, she makes you look this good even when real life means your wedding plans get totally changed the night before thanks to a freak storm—and that’s with rates starting at just $2,000, wut?! Since then, my work and experience has evolved quite a bit: I have begun to specialize in working with LGBTQ+ couples and their allies. Queer and non-binary couples can feel totally safe with me, knowing that I support the community and am actually a part of it (I am married to a woman and identify as a lesbian). 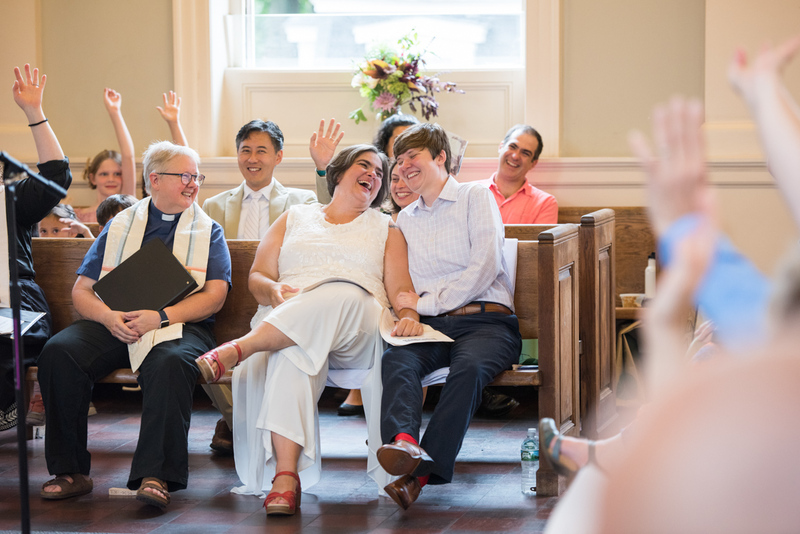 I totally reject the hetero-normative narrative that surrounds weddings and the typical wedding industry, and I am committed to portraying weddings that are inclusive, affirming, and diverse. Most people aren’t automatically comfortable and authentic in front of the camera, and most couples aren’t automatically relaxed on their wedding day when surrounded by hundreds of family members and guests. I totally get it! To help, I have developed a highly personalized and collaborative approach to wedding and portrait photography. Long before the wedding day itself, my couples and I get to know each other. We do what I call a “Get to Know You Session” (which is like an “engagement session,” only that term feels like it implies something cheesy and gendered) for them to get some practice being photographed and feeling more comfortable in front of the camera. We talk about what kinds of photos they’re looking for, what photos they want to look back on in ten years, and what photos they’re most excited about. 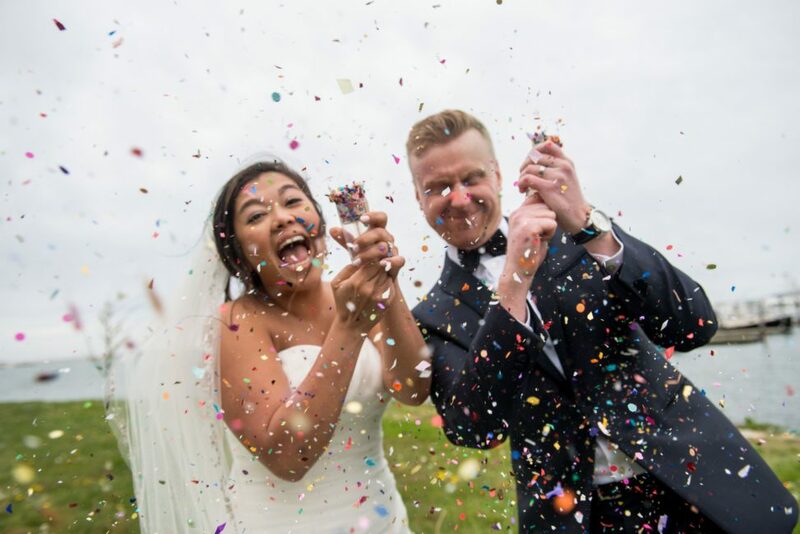 And then on the day of, I pretty much tag along like a third wheel, not only documenting as the day unfolds, but helping my couples navigate the events and solve problems so that their wedding day experience remains smooth and stress free. My goal is to be not only your photographer but also your teammate. I’ve been known to bustle dresses, pin on boutonnières, and even sew on a lost button. During the actual wedding day, your photographer is alongside you more than any other vendor; I consider this a great privilege and a great opportunity to help support my couples throughout the experience in every way I can. Having Leise as our photographer contributed so much to our incredibly happy experience of our wedding. Most importantly, of course, she is an amazing photographer, and she captured moments that look in photos exactly the way they felt in the moment. 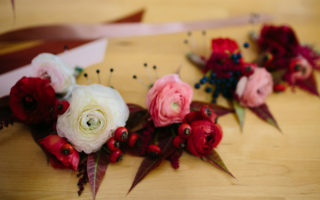 Also invaluable are the extra contributions that came from her willingness to share all sorts of wedding wisdom. She is the ideal photographer AND planner, advisor, and friend to have beside you on your wedding day! We are so thankful to Leise for all of her help and beautiful work, and cannot recommend her highly enough. Leise Jones is based in Boston, but travels all over New England for her clients (for just a $150 fee in New England states outside Massachusetts—contact Leise for a customized package if you’re further afield). Her rates range from $2,000 to $5,000, and you can click right here for a handy-dandy, super-transparent guide to what’s included at each price point. While you’re at it, make sure to flip through her blog, which is chock full of the kind of helpful tips that nearly a decade of experience as a wedding photographer brings. (I totally second her advice to incorporate your pets into your engagement photos, because why wouldn’t you jump on an opportunity to have professional pics of your pup?!) And then if you’re looking for a photographer who puts your wedding day happiness above all else, email Leise and get her on your wedding team ASAP.